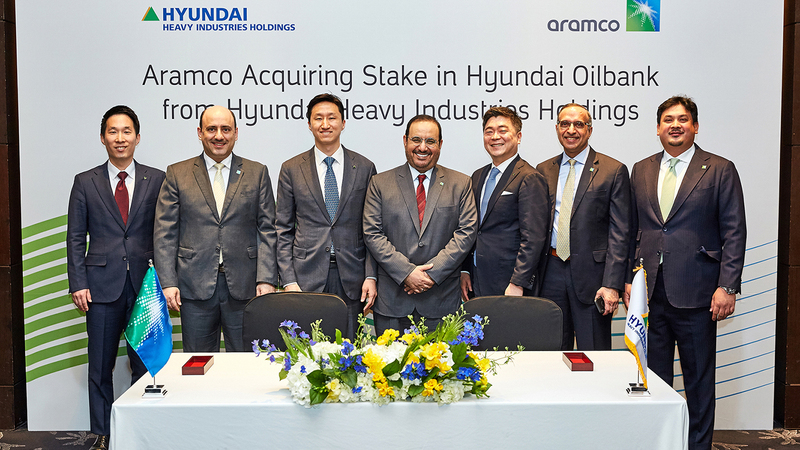 The Saudi Arabian Oil Company (Saudi Aramco) and Hyundai Heavy Industries Holdings today announced that they have reached an agreement for Saudi Aramco’s subsidiary, Aramco Overseas Company B.V (AOC), to purchase a 17% stake in South Korea’s Hyundai Oilbank, a subsidiary of Hyundai Heavy Industries Holdings. The investment is valued at approximately $ 1.25 billion. AOC’s investment in South Korea’s Hyundai Oilbank will support Saudi Aramco’s crude oil placement strategy by providing a dedicated outlet for Arabian crude oil to South Korea.